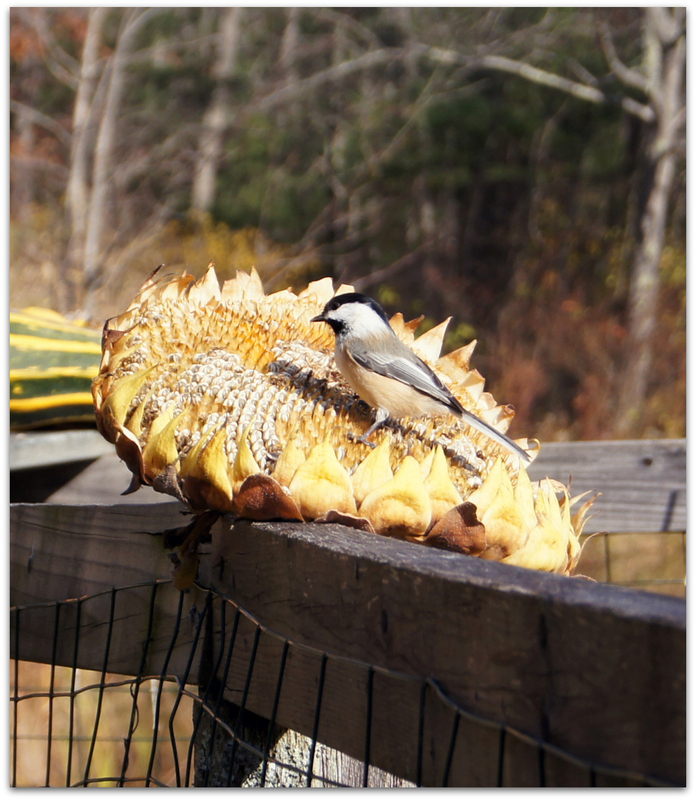 Sunflower seeds for our Black-capped Chickadees. We grew sunflowers as usual this year, out in the big garden. Yesterday my husband found one that had not yet been picked clean of seeds so he cut off the head, turned it face up and stuck it on the garden fence. 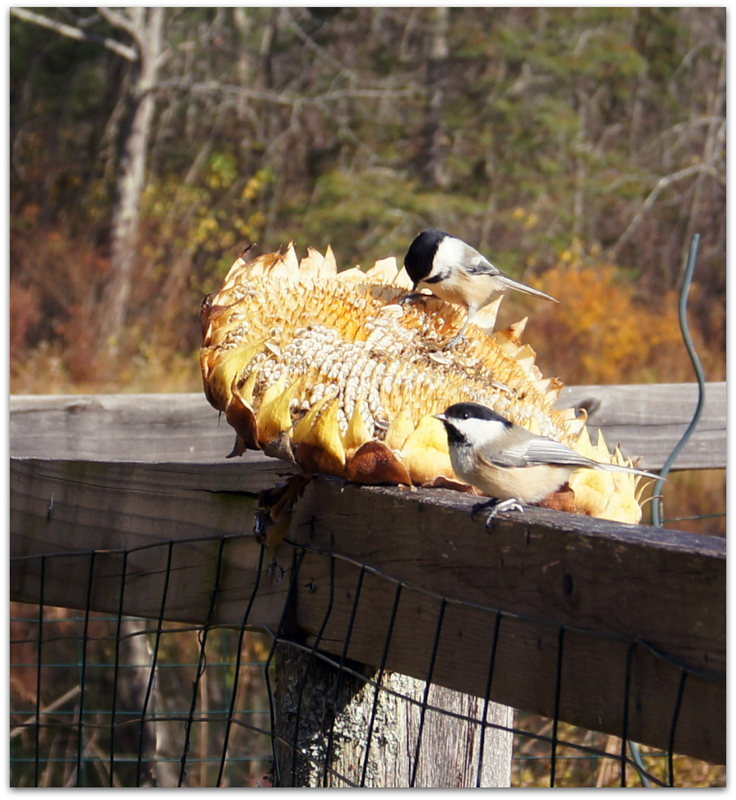 The chickadees, who keep an eye on us anyway whenever we go outside, wasted no time feasting… and maybe caching too. Like many other species in the Paridae family, black-capped chickadees commonly cache food, mostly seeds but sometimes insects also. Items are stored singly in various sites such as bark, dead leaves, clusters of conifer needles, or knotholes. Memory for the location of caches can last up to 28 days. Within the first 24 hours, the birds can even remember the relative quality of the stored items. 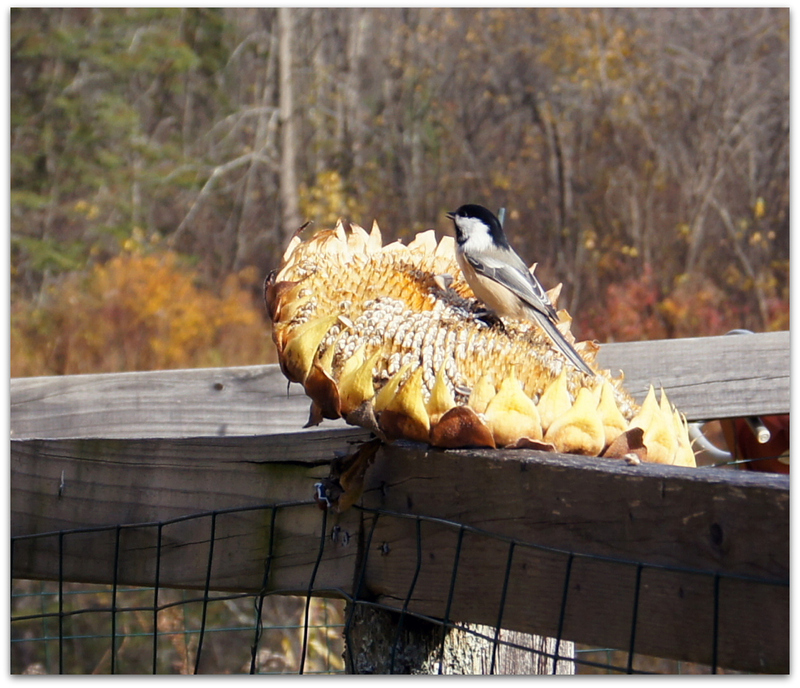 This entry was posted in Uncategorized and tagged backyard birds, Black-capped Chickadee on November 14, 2014 by Amy.